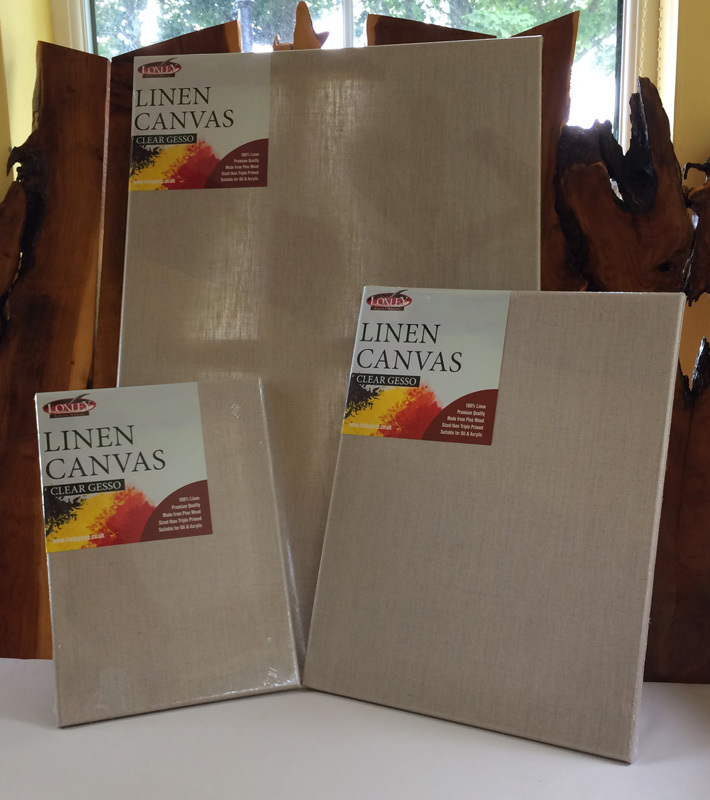 Very excited to be giving these clear primed linen canvases a go from Loxley. 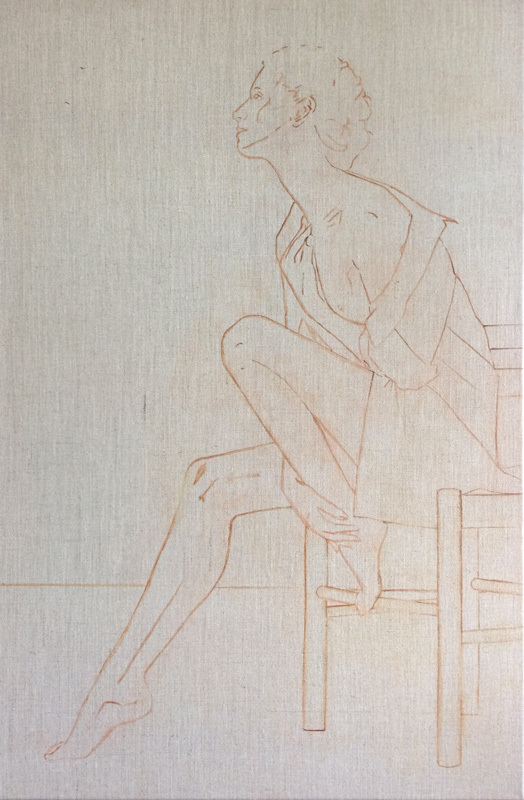 I have 3 figure paintings planned and shall be painting in oils so I'll work on the 3 concurrently - means I can switch paintings when I need to leave layers to dry. 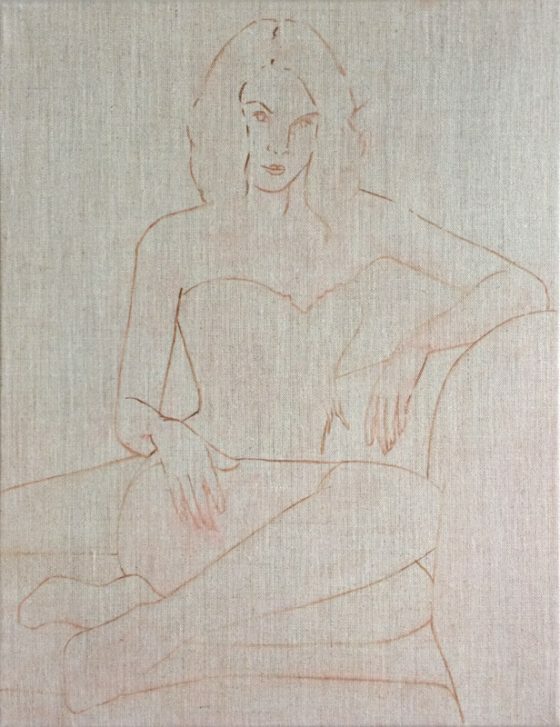 The natural linen works really well with flesh tones - it complements the skin and people have commented that the colours really stand out. It also means I can concentrate on painting the bits I really enjoy and can leave the background bare. I shall keep you posted on how I get on with these canvases - I have tried other makes of clear primed natural linen and am keen to see how these compare. First impressions are very good. 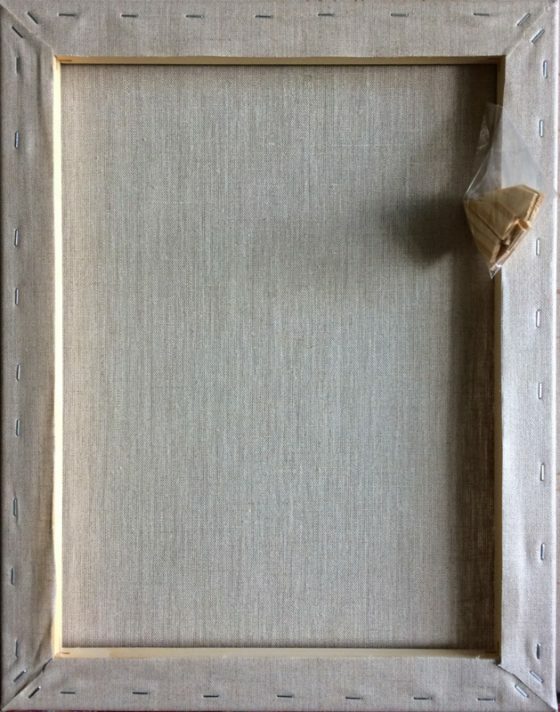 As you can see from these back shots, the box frame has been neatly and generously covered with the canvas. Also, on the larger frame where a cross bar is necessary, a thoughtful detail is the depth of the cross bar. 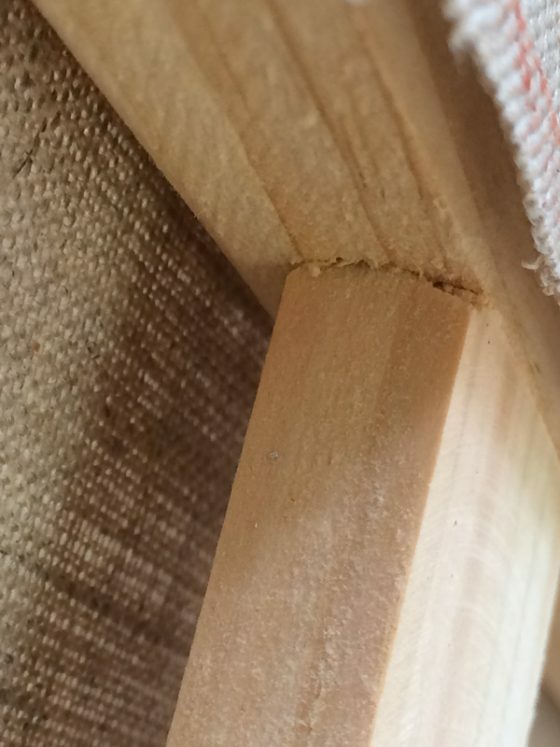 This is slightly narrower than the depth of the frame to prevent a ridge of paint on the canvas from the impression of the bar at the back. I have found this a problem on other canvases. 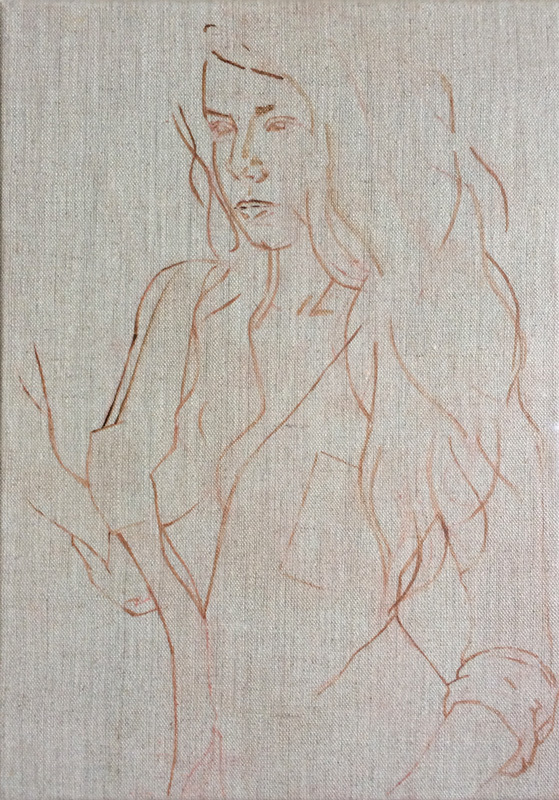 Well, here are the 3 canvases with the images sketched prior to painting. The canvas feels lovely and smooth and very easy to get the image down. The quality of the triple priming seems excellent. Can't wait to get my paints out!